We are a leading Exporter of tyre inflator, tyre inflator with stand and tyre inflator with stand - ai-63 from Mumbai, India. · Vandal resistant Mechanical switches for long Life. · Ceramic sensor for High accuracy. · Suitable for Indoor and outdoor application. · Can inflate accurately with hose length up to 50 meters. · Comprehensive Diagnostic error code. · Available in Multi Color Choice. · Various Options of Cabinet. · Supplied with 10 meter Hose Kit with AC 102 Clip on Chuck and Hose hook. · Can Inflate accurately with hose length upto 50 mtrs. · Supplied with 10 mtr Hose Kit with AC 102 Clip on Chuck and Hose hook. 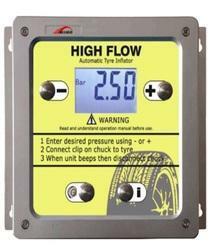 Looking for Tyre Inflator ?